I’m often asked if there’s one attribute that rises above all others when it comes to successfully implementing a sales and marketing effort designed to achieve growth. While most people think this is a question that I’ll struggle to answer, the reality is that answering it is quite simple. Yes, I say, there is one attribute that rises above everything else. That attribute is trust. While the phrase “no pain, no sale” is both popular and accurate, so too is the statement “no trust, no sale.” This came to mind recently when I was talking with a prospective client. She was telling me that one of their key initiatives going forward was to focus on earning and nurturing trust in all aspects of their dealings. She was asking how we could utilize inbound marketing to support that effort. Taking every touchpoint – physical or passive – transforming it into a value creative experience rather than extracting value. It’s about helping before benefitting. It’s about respecting your market (and even your competitors). All of it is about earning the attention and trust of those you wish to serve and influence. Imagine defines trust as the feeling that someone knows and understands me better than I know and understand myself. We place so much importance on establishing trust that it’s the focus of our first rule of creating demand – know and understand your customers better than they know and understand themselves. Content marketing in general and inbound marketing specifically are perfect for establishing and enhancing trust. The nature of sharing valuable content designed to teach and help naturally builds trust and establishes a platform for your sales, services and operations teams to be highly successful in all of their efforts. Features and benefits don’t build trust. Emails, white papers, webinars and demos that are all about you and what you do actually erode trust. In his book The 7 Habits of Highly Effective People, Stephen Covey described a concept called the “emotional bank account.” Basically he describes how every interaction you have with someone creates either a deposit or withdrawal from the account. The same is true in business. When the focus is on you, your business or your offerings, you’re taking from the account. When the focus is on your prospects and you’re helping, you’re making deposits. When selling you want to make sure you’ve built some real value in the account before you work your process. You do this by ensuring that you’re always focusing on your commercial teaching point-of-view. The next time you initiate a tactic or campaign, determine if it will make a deposit or withdrawal; and ensure that your account value is big enough before you start selling. Several years ago I wrote a popular post that called for killing the traditional sales presentation. In the post, I shared a problem that many salespeople have. That problem is that they spend so much of their time telling prospects and customers about the value that they will create, that they fail to create any value. When I talk about this problem I’ve found that one of the biggest barriers to getting executives (especially sales executives) to change their approach is the fear that “they’ll be giving too much away for free.” My advice, stop worrying about that. If your solution is so simple and easy that merely sharing how to solve the problem one time is enough for someone to do it on their own, then it wasn’t that valuable to begin with. If you’re concerned that your prospect will take your solution to a competitor and ask them to do it more cheaply, then I challenge whether you’ve made enough deposits into the mutual emotional bank account (see rule 1). Several years ago a consultant was asking me how she could get better traction in her sales effort. She did a great job telling about her unique approach, why it worked and how she had benefitted many of her clients. I asked her, when does her approach not work. She responded with great confidence that it always works. That, I said, was the reason she wasn’t getting more traction. We all know that things don’t work every time. As the philosopher Forrest Gump said, “Sh!t happens.” When prospects are making decisions, they are constantly working to manage their subconscious fear response. We’re all afraid that something won’t work, and were worried what will happen to us if it fails. 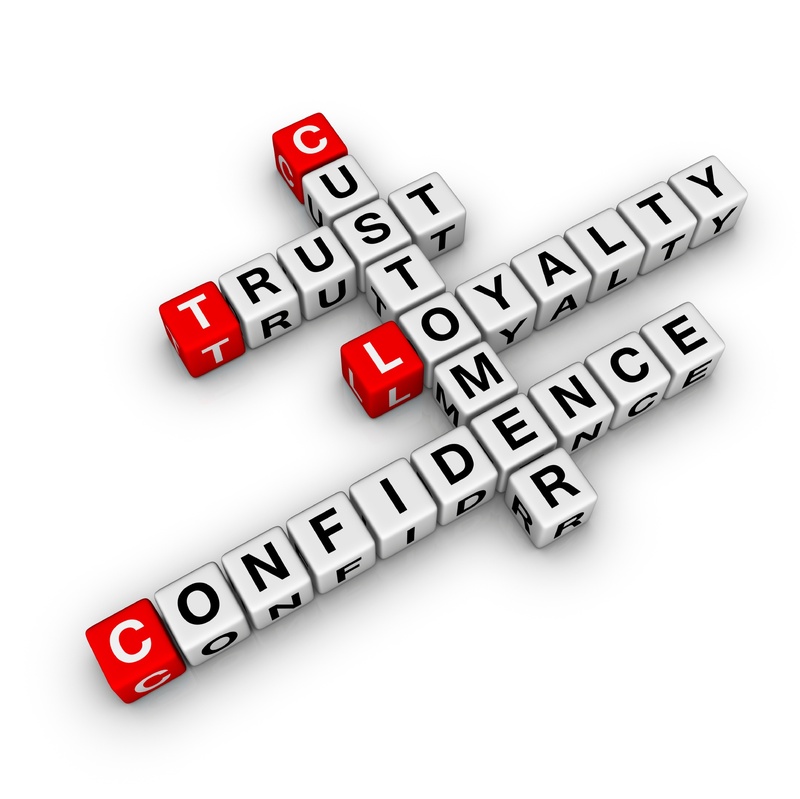 Sellers don’t build trust by reinforcing the benefits of what they do. They build trust – and reduce fear – by demonstrating that they have a handle on how things can go wrong and that they’ve got the processes in place to minimize the likelihood of failure. As with most fears, the fear is often more dangerous than reality. By openly sharing the dangers (and how you mitigate them) you actually reduce the fear of moving ahead. Think about what happens when a doctor is advising a patient on surgery recommendations. They often spend more time talking about the risks and dangers than they do the benefits. The same approach is true when working with people. Trust is the most valuable asset one can have with anyone. Be sure you’re doing everything you can to earn that trust from your market, and you’re market will be sure that you’re properly rewarded.